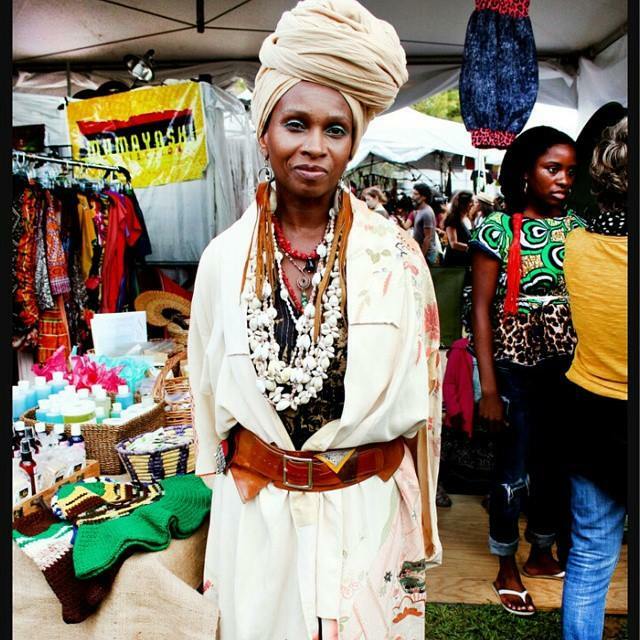 Give thanks to NaughtCouture.com and Jamaal Pierre fashion Blogger for showing Yendys Nefer-Atum love in this AFROPUNK FEST 2014 feature. 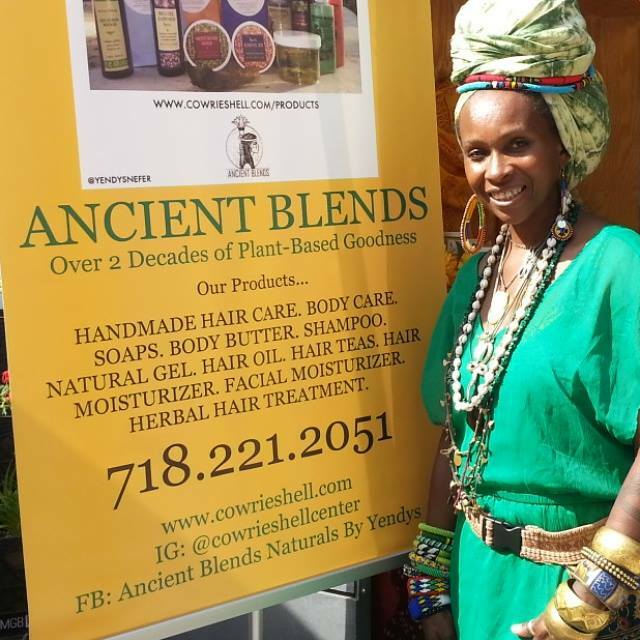 Yendys Nefer-Atum is a Barbadian born entrepreneur; the founder and owner of The Cowrie Shell Center for Natural Hair Care and Holistic Wellness Therapies in Bedford stuyvesant in Brooklyn, New York since 1991. 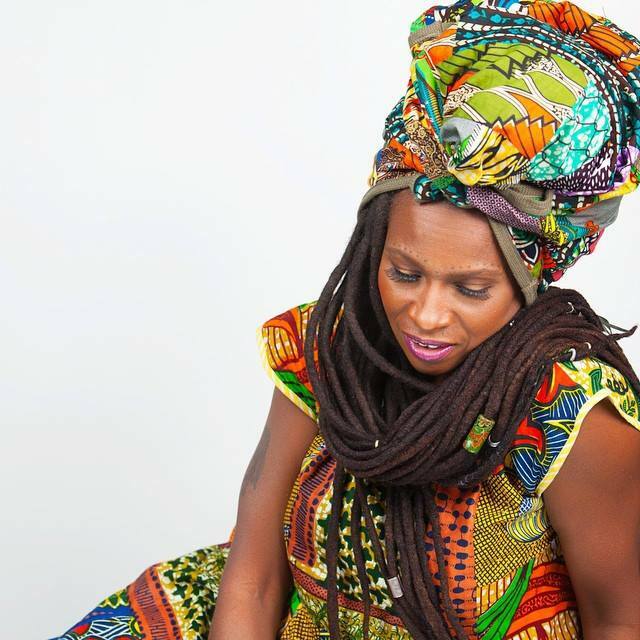 She divides her time between being a wife, mother of two adult daughters, full-time guardian to her 10 year old great nephew, teacher, professional natural hair care pioneer, certified holistic health consultant, herbalist, natural product developer and healer with a multi-cultural, spiritual perspective. Her approach entails taking a full view of the constitution, condition, efficiency and functional relationships of the body’s inter-related systems and the impacts of nutrition and lifestyle choices. She has guided hundreds of men, women and children in the art and science of Natural Living and Ethno-Medicine (traditional medicine). She is an initiate of the Shrine of Ptah and Priestess of Life and Healing in the Temple of Het-Heruuch for personal uses. In 2010, Yendys received The Ultimate Hairapy Award. This award honored her for exemplifying what it means to combine natural hair care services with a holistic lifestyle regimen, pampering the total individual. ; an ancient Afrakan Order in New York City. Yendys is also a Khametic (Egyptian) Priestess, belly dancer, and wild foods expert. 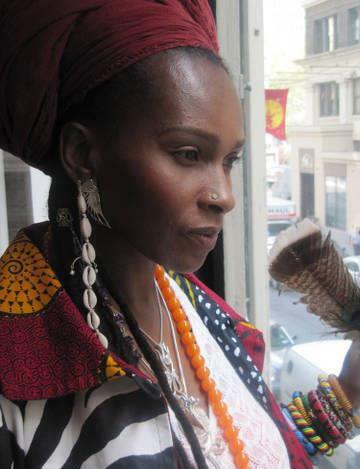 Yendys is also a spiritual guide for women’s rites of passage and has been in practice for over two decades following apprenticeship with several Master Herbalists over a period of thirty years, studying under the auspices of Priestess of Purification Queen Afua; founder of Global Sacred Woman Village, author and bestseller of several books (Heal Thyself for Health and Longevity and Sacred Woman: A Guide to Healing The Feminine Body, Mind and Spirit). Among her many mentors are Baaba Hru Ankh Ra Semajh Se Ptah; Founder and Chief Priest of the Shrine of Ptah. 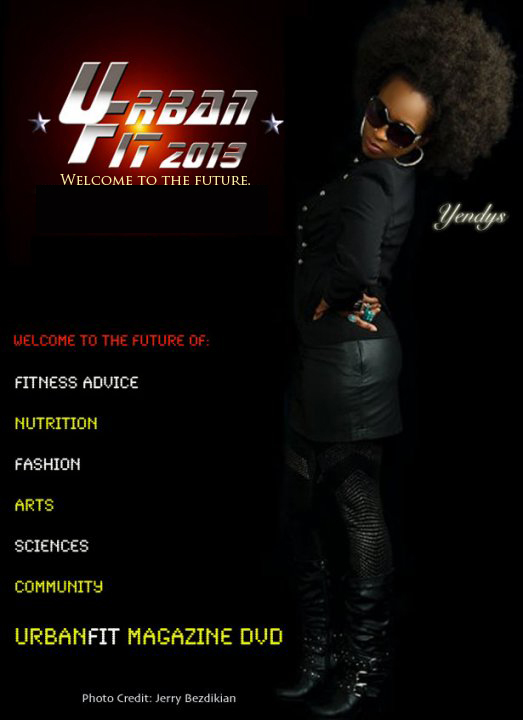 In 2005, Yendys was certified by one of the world’s foremost authorities on health and nutrition; Dr. Lliala Afrika. 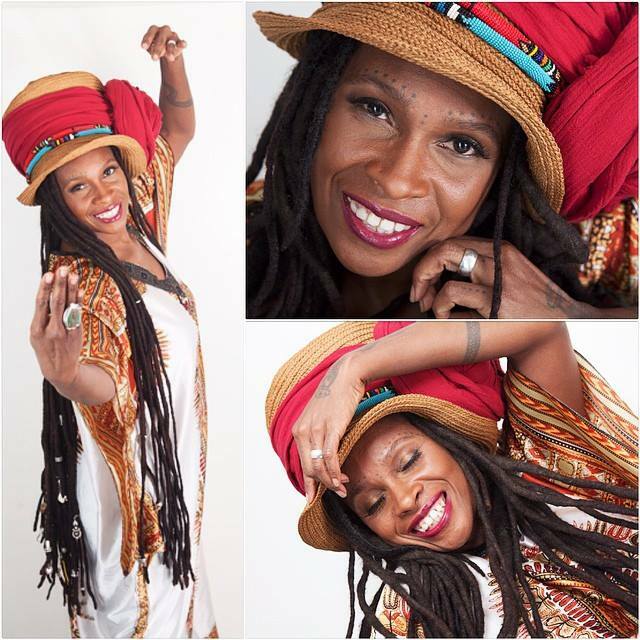 She is currently a student of Mama Tioma Allison; a midwife and renowned wild foods herbalist in New York City and Jamaica, West Indies. 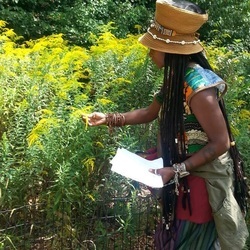 As a wilderness expert, Yendys guides herbal walks and wild food tours in Prospect Park to educate anyone interested in the benefits of wild plants and herbs and the identification of such for personal uses. In 2010, Yendys received The Ultimate Hairapy Award. 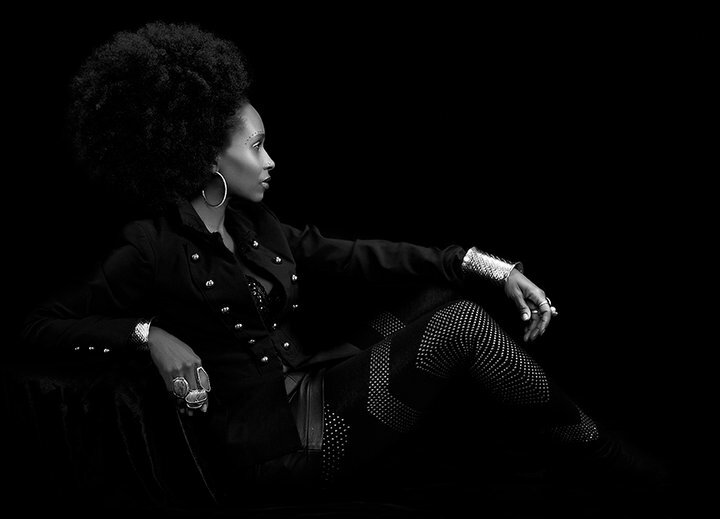 This award honored her for exemplifying what it means to combine natural hair care services with a holistic lifestyle regimen, pampering the total individual. In Spring 2012, Yendys was featured in Essence.com STREET STYLE for her fierce, unique, fun, and fabulous style in the Street. Eclectic cool accessories , bangles, feathers and African beaded bracelets. Mixing a variety of sizes in the same copper metal and colors in a fun way to make a statement and she does it effortlessly. Yendys’ Ancient Blends plant-based product line includes herbal teas for health and healing, also natural hair care and body care rejuvenating formulas. 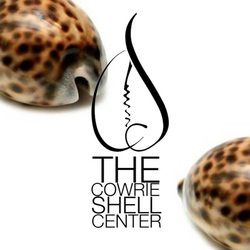 Her line is available and shipped internationally via her online store www.cowrieshell.com/products and her center. She personally follows a holistic health, beauty and conscious living style, as it relates to the connection between mind, body and spirit. She believes that our bodies have the ability to heal itself of any disease. This applies when we adhere to the rules of nature. To be able to heal ourselves, our body needs the support of basic spiritual one-ness, dietary and lifestyle health habits; such as meditation, regular exercise, full body detoxifying practices and a fundamental understanding and application of nutrition. 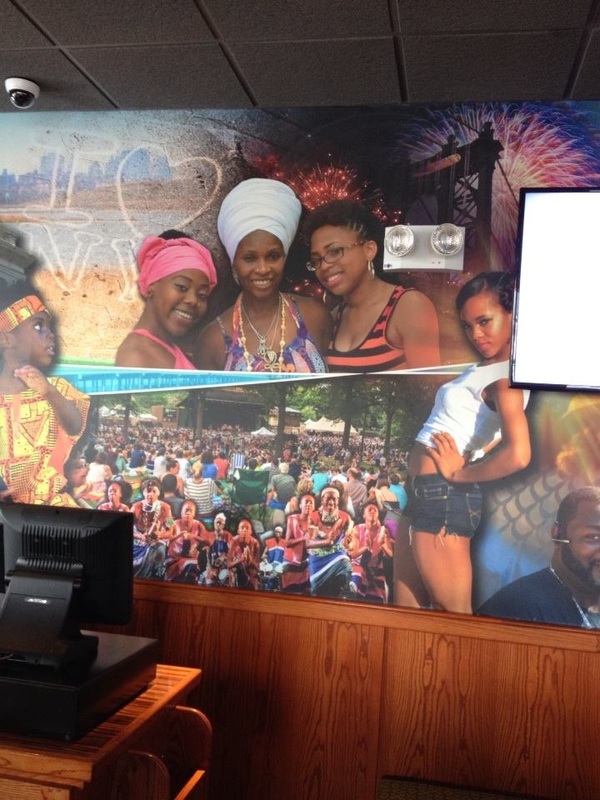 In July 2014, Yendys received surprising news that her image was now moralized on the wall inside the new Gateway Mall, in Brooklyn. Apple Bee's restaurants customarily honors individuals in the community in which they open for business. Apple Bee's Mural: Honors Notables In Brooklyn Community. Step inside this new AppleBee's restaurant at GateWay Mall Shopping Center North, at 448 GateWay Drive Brooklyn, New York and you'll spot it immediately! Your's truly, Yendys Nefer-Atum right in the center of a huge ceiling-to-chair rail display, positioned in the centerpiece of the interior, an awesome photo collage representing our Brooklyn community!!! Yendys' future goals entails her continuous strives forward to reach a wider more diverse audience, especially focusing on today's younger generation; to educate them about their hair as well as holistic health and wellness as it relates to their natural hair care practices. 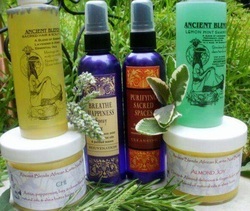 She is looking forward to more speaking engagements to share her passion for She aspires to bring her unique brand, three decades of natural (holistic) hair care knowledge, experience and healthy, plant based product line to the world.